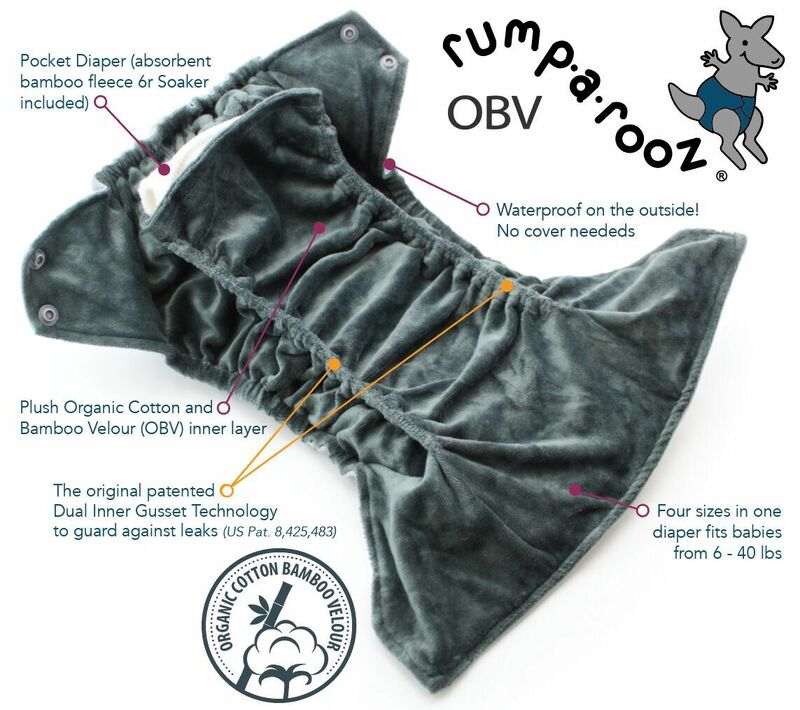 Just when you thought the Rumparooz onesize nappies couldn't get any better! This nappy looks and fits like the standard pocket nappy, but has an organic cotton bamboo velour lining and comes with a Bamboo 6r insert. 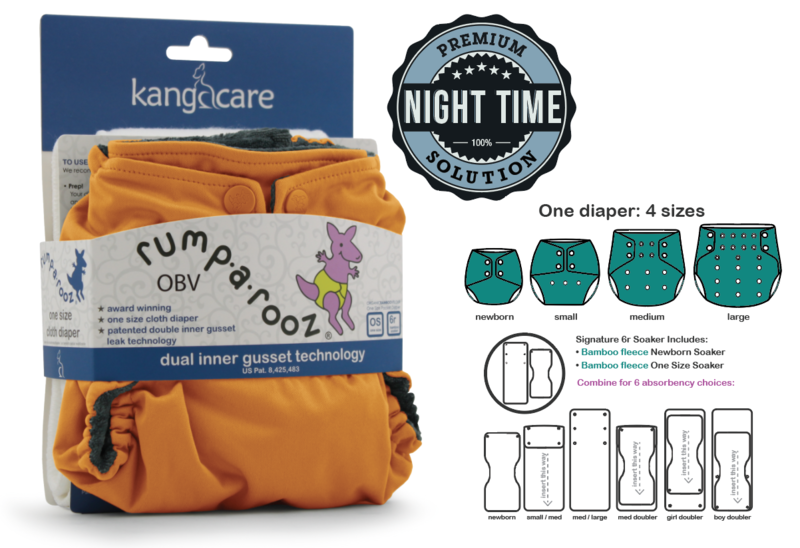 Kanga Care’s patented double inner gussets keep the messiest of messes locked in, the super-soft organic bamboo velour lining keeps baby comfortable, and the Bamboo 6r soaker provides long lasting absorbency. This nappy is the perfect solution for daytime, nighttime, heavy wetters, eco-conscious parents or anyone who is looking for the best cloth nappy system for their baby. Adjusts to 4 different sizes to accommodate little ones from approx. 6-35 pounds. Pocket nappy + 6r Soaker set = 8 thirsty layers!